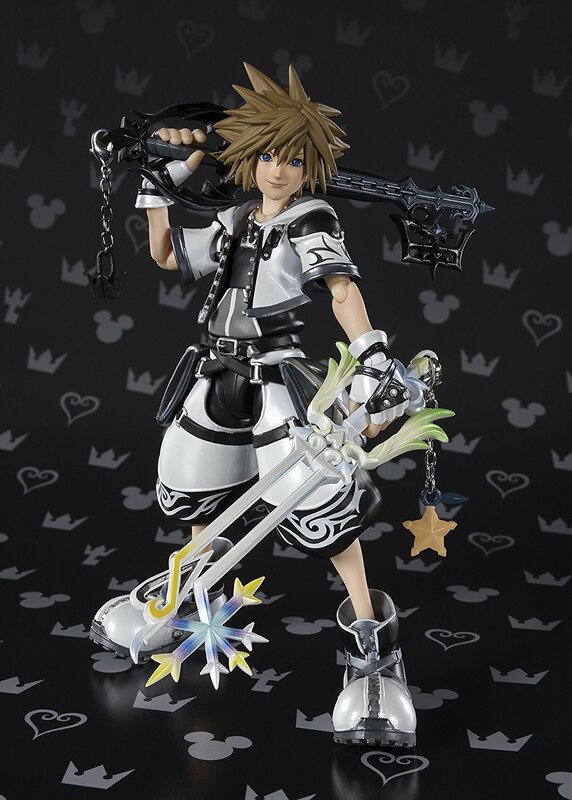 Previously a Bandai Store exclusive, the Bandai Tamashii Nations SH Figuarts figure of Sora's Kingdom Hearts II Final Form is now available for pre-order! 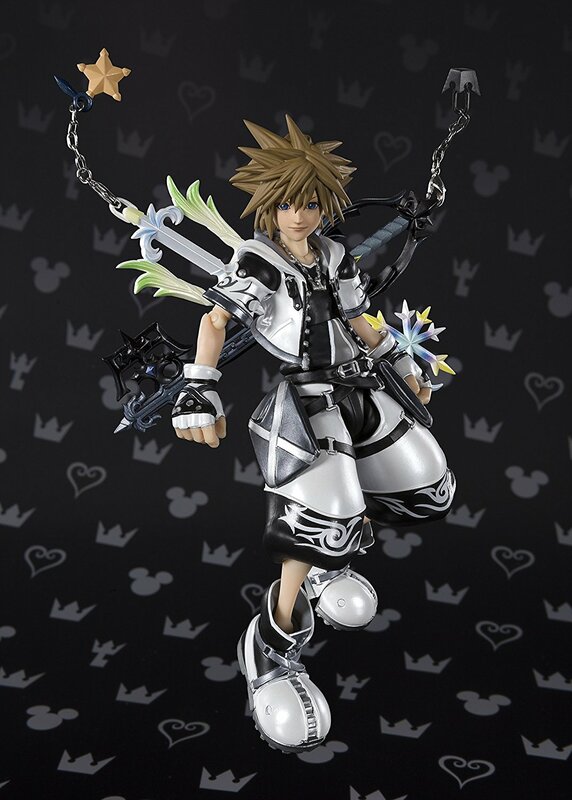 Standing at approximately 5.1 inches, Final Form Sora comes with the Oathkeeper and Oblivion Keyblades, optional hands and two optional face parts. 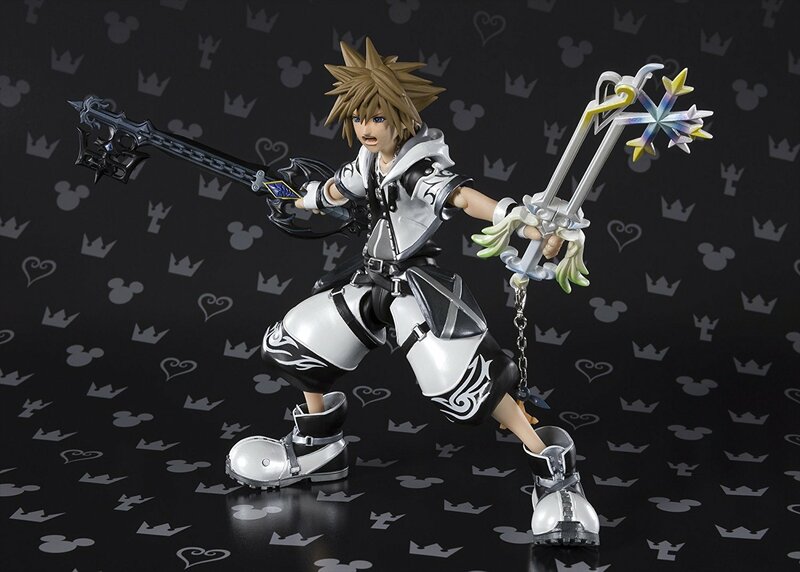 He's set to be released November 28th, you can currently pre-order him on Amazon for $64.09. I don't think I ever noticed a pattern on the blue jewel piece before. 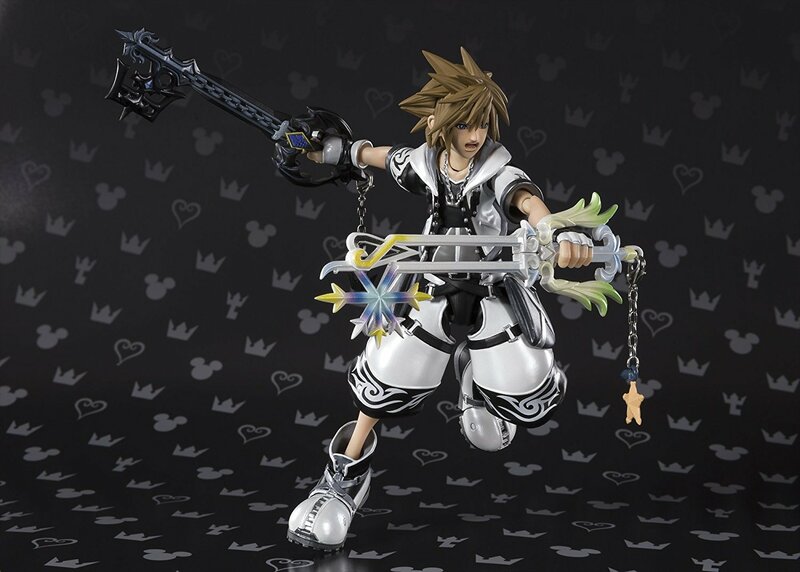 Guess I'll be discovering a lot of other details playing the HD ReMIXes.